Zooomr is making transition to Mark III at last. Zooomr CEO Thomas Hawk has made a post regarding transition from Zooomr V2 to Zooomr Mark III and that it will be down for 12-24 hours. Zooomr is off line right now while we make the transition from Zooomr V2 to Zooomr Mark III. We think it’s probably 12-24 hours until launch. Thanks for all your support! 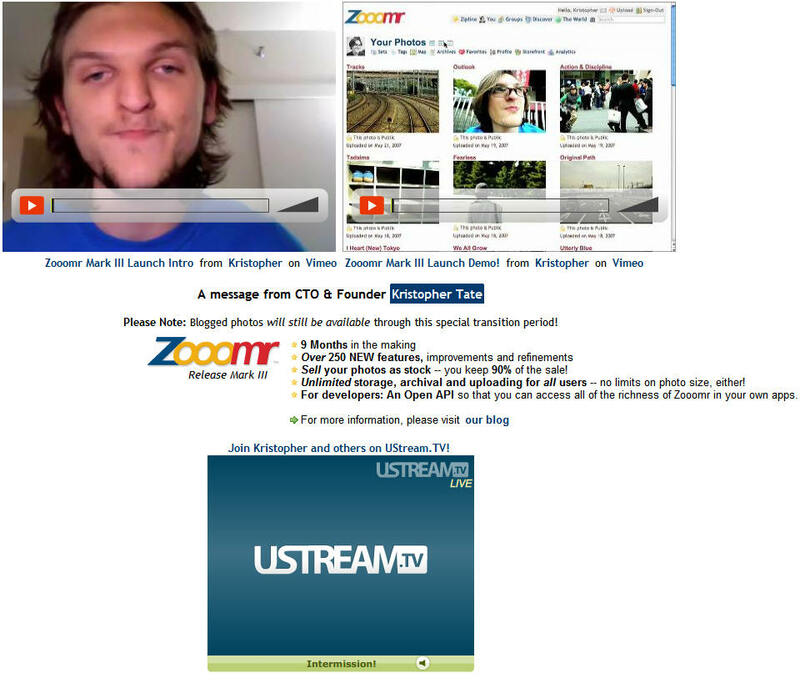 If you want to watch the launch live, you can do it here at UStream. Unlimited storage, archival and uploading for all users — no limits on photo size, either! Here is the screen which is appearing while opening any Zooomr photo page. You may like to see what Mark III contains till the time, Zooomr is up.